It’s always good to get a balance of the local foods wherever you are. 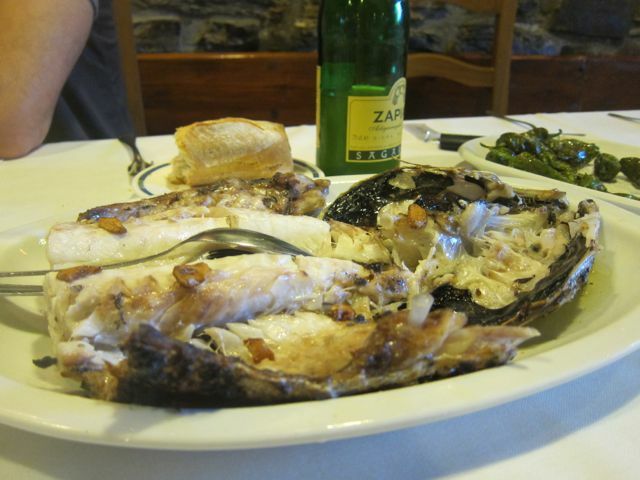 Basque cuisine, includes meats and fish grilled over hot coals, marmitako and lamb stews, cod, Tolosa bean dishes, paprikas from Lekeitio, pintxos (Basque tapas), Idiazabal sheep’s cheese, txakoli sparkling wine, and Basque cider. 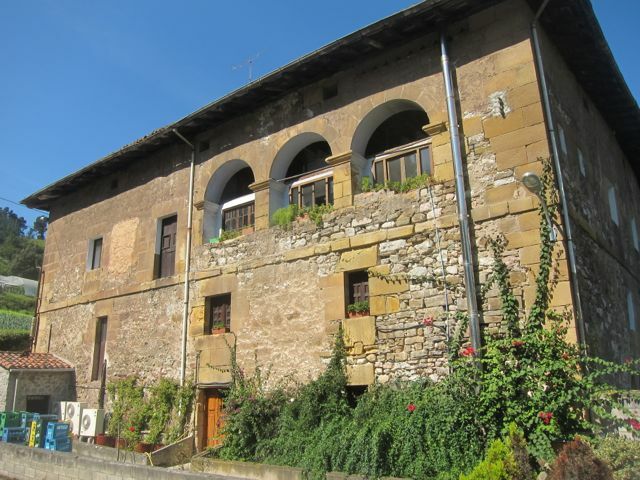 Cider houses (sagardotegiak) are a feature of the hills around Donostia, especially near Astigarraga. These are usually large country restaurants with enormous barrels of cider. 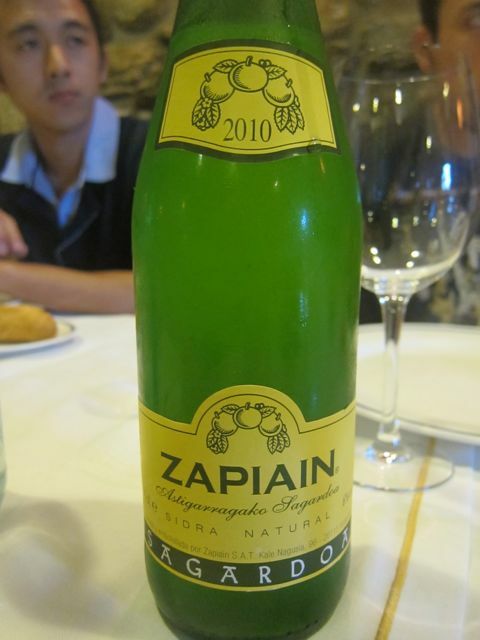 Cider is poured from a height straight into the glass for visitors, with a rustic menu invariably of salt cod omelette, grilled T-bone steak and ewes’ milk cheese with walnuts and quince paste. The cider houses are only open for a few months of the year. 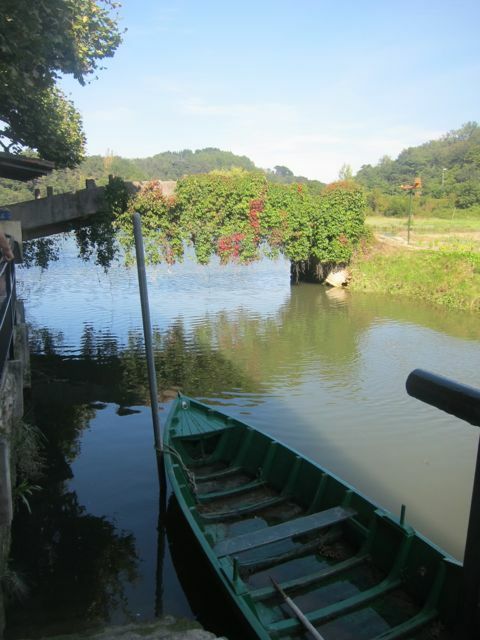 We were invited to go for a late lunch in a restaurant outside the city to which we promptly said yes to. The drive to the restaurant was breathtaking, going through the mountains and valleys that surround San Sebastián. It was about a 20 minute drive to a restaurant which I know I could never find on my own, neither with my GPS. With no sign to tell you there is actually a restaurant, you turn into a small crumbly concrete hidden track and arrive to a derelict building next to a small lake. We arrived for a late lunch, around 2, but there were still clients in the large restaurant. I’m not going to beat around the bush. I’m just going to say it. 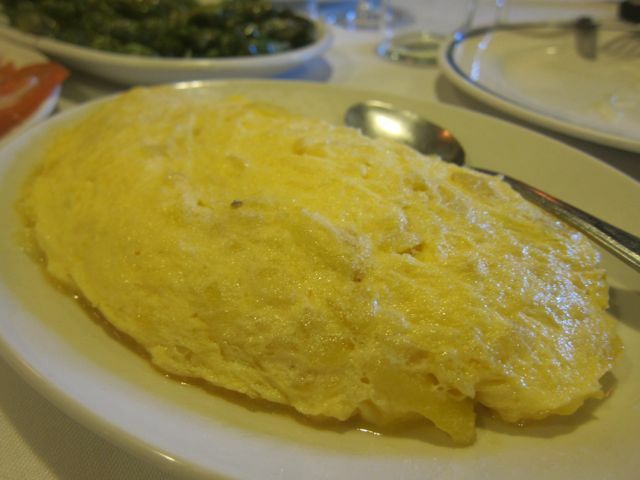 So far, it has been the best meal I have had in Spain. It’s local, fresh, seasonal and simply tasty. Nothing less. 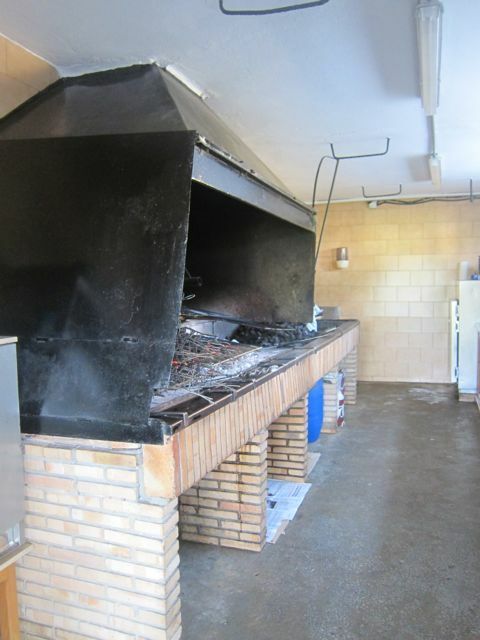 Most of the food is cooked on this big mama. The local cider…poured from a distance above the glass. Delicious and light. Perhaps too much…with 4 bottles in the stomach, I felt like rolling home. 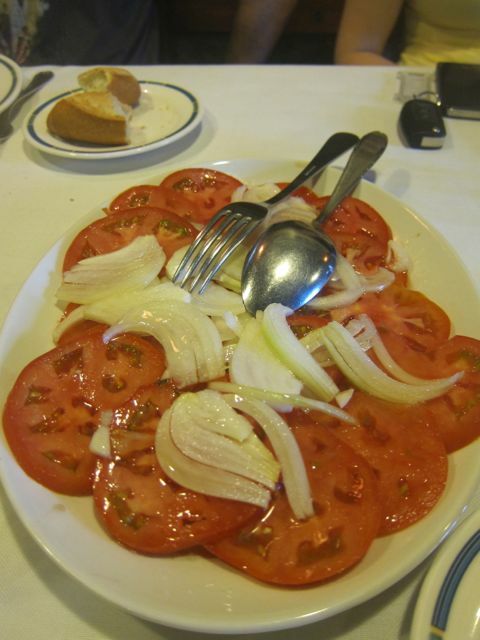 Tomato salad with onion and oil. Simple dish but the tomatoes were so sweet and juicy. Tortilla with Potato – not my favorite but it was light. 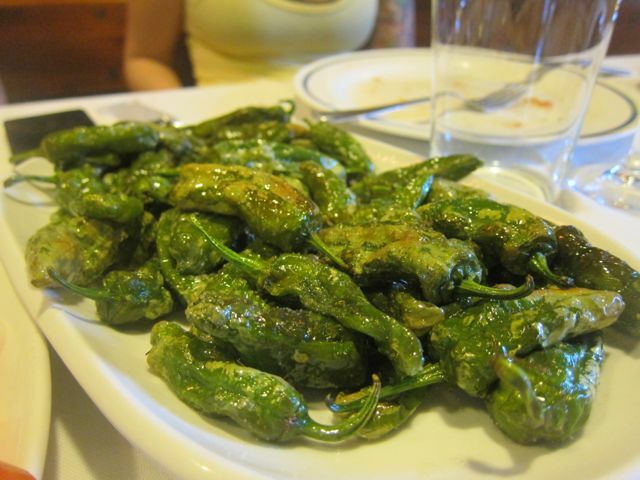 Grilled Guindillas – not sour or bitter, but surprisingly sweet….and addictive! Went beautifully well with the dash of salt they put. 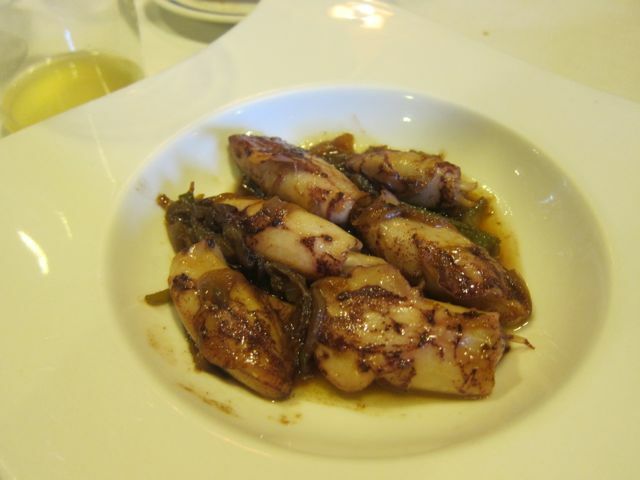 Baby squid with caramelized onion. Again, super tasty and smokey with sweet onions. Grilled Hake fish. Succulent, smokey and not dried at all. And the best part too, the head! 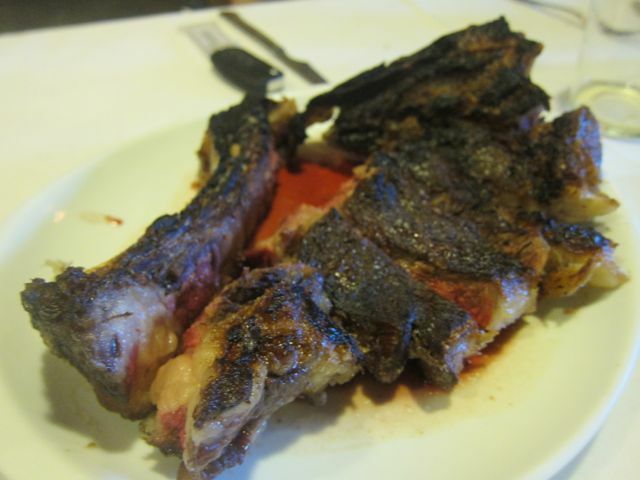 The picture doesn’t really do this justice….a kilo and half of steak cooked to perfection. Heavy char (but not burnt) with the fat, crispiest of yellows and some parts of rare purple meat with a sprinkling of salt. I wanted to finish it all, but tried to restrain myself. It’s one of the most memorable steaks I’ve eaten and in taste I’ve not had better; and I’ve had a lot: Italy, Brasil, France. Nothing compares to this. Great provenance, well hung and treated with a firm and fair hand. The meat is actually of a working and older cow (8-10 years) which has more flavor in its meat. The cooking is effortless but every dish that comes out of the kitchen makes you gasp (in a good way). It’s the sort of simple place for locals, that you know you’re going to have a good time…I just hope I can find it again.